NOAH Legacy Gifts allow NOAH to continue to serve to those living with albinism. 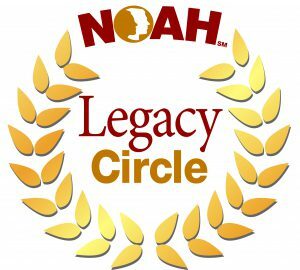 With thanks NOAH recognizes our Legacy Circle. Those listed here have made their intentions known to make a bequest to NOAH.